As a site that has a reoccurring feature named Flash Friday there would be something very wrong if we didn’t take time out and honor the passing of a legend in the comic book industry. The news of his death spread like wildfire across the comic community last night, he was 87. Carmine began his work with DC comics in 1947. In his first published work he co-created the Black Canary with writer Robert Kanigher. The list of characters he had a hand in creating is amazing. I already mentioned Black Canary add to that the Barbara Gordon Batgirl, Animal Man, Bat Lash, Deadman, Detective Chimp, and the Elongated man. That’s already an impressive list so let’s add the Flash characters to it. Barry Allen, Kid Flash Wally West, Iris Allen, Abra Kadabra, Captain Boomerang, Captain Cold, Gorilla Grodd, Mirror Master, Trickster, and the Weather Wizard. Carmine went from artist to Art Director to Editorial Director to Publisher of DC comics. After he left that position he became a freelance worker. In 1981 he returned to the Flash and worked on it until the series was canceled. I had only met Carmine twice. The first time I had been too starstruck to say anything of any real importance. A stammered “I love your work, the Flash means so much to me,” that kind of thing. The second time I got to actually have a conversation with him and he was especially kind to me. 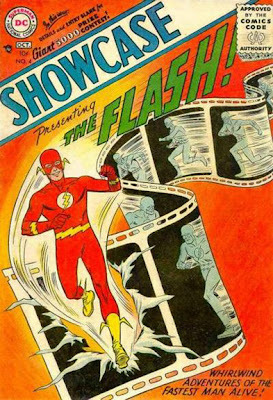 I’m going to be cracking open some of my Flash Archives this weekend in tribute. Thank you Carmine, you are already missed. Saddest day ever! The man was a real legend in his own right for not only his work on the Flash but other characters as well. I Needs My Comics, Man!